I love fall. And much to my embarrassment am the first one in line for pumpkin spice anything as soon as September 1st rolls around. Even during the 90° weather I’ve been known to turn the AC up higher so I can turn on the fire place and pull out the plaid throw blanket. I also love middle eastern food. It’s most definitely my favorite food to eat and lately some of my favorite things to cook. 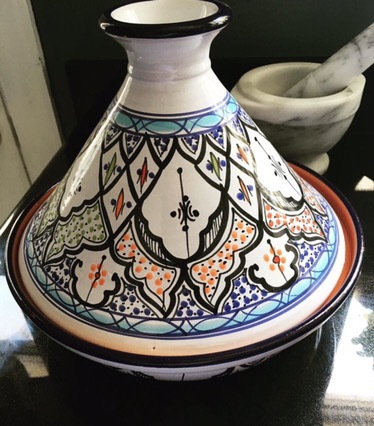 I recently bought a Tagine so I’ve been playing around with that and those flavors more and more. 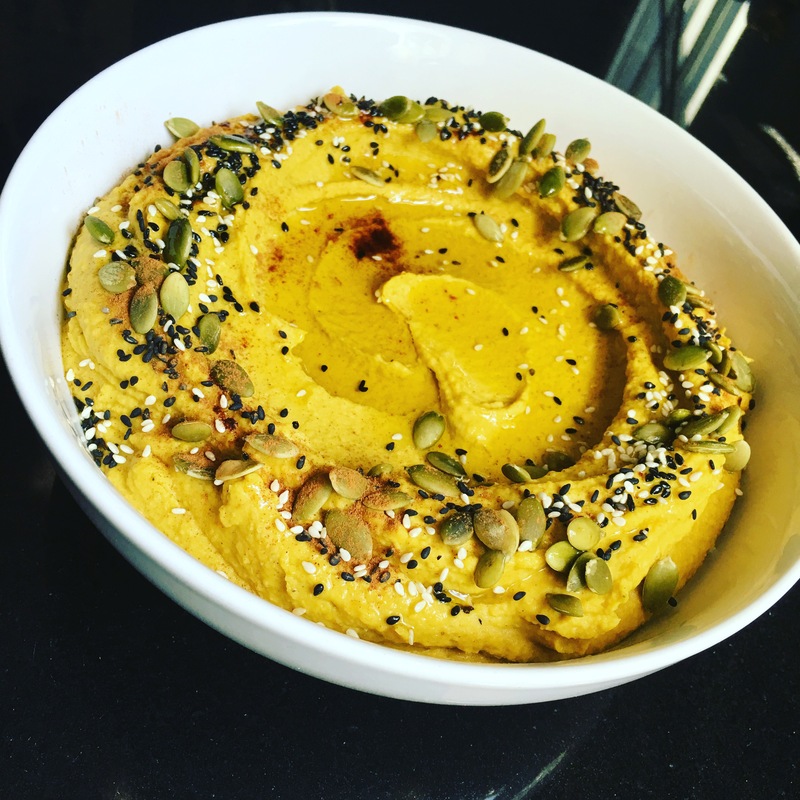 The other day when we had friends over for dinner I got to combine my love of fall and middle eastern flavors by coming up with this Pumpkin Hummus. Ironically one of the guests hates all things Pumpkin related, but didn’t have anything bad to say about this. (Which if you know James is saying a lot) but I digress. Purée all ingredients in the bowl of a food processor. 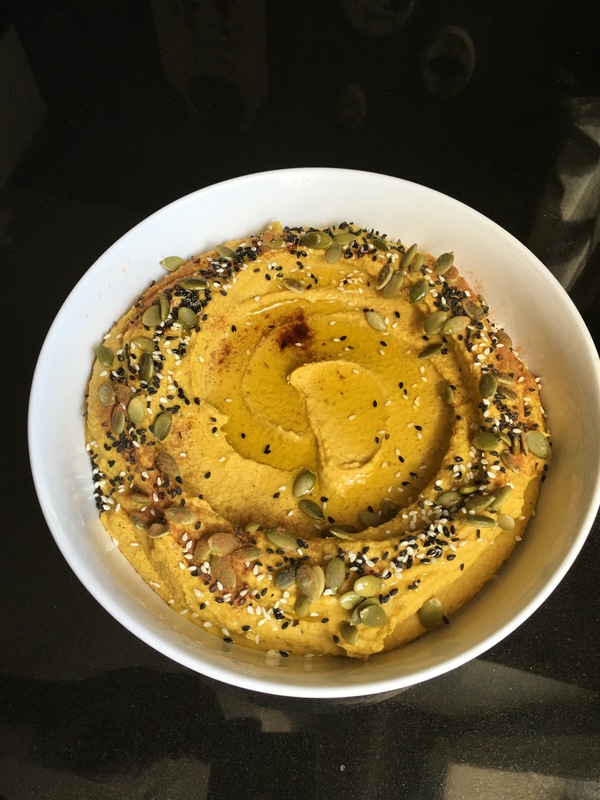 Let the hummus blend for several minutes to ensure a smooth finished quality. Season to your taste and serve with pita, pita chips or fresh veggies for dipping. In the picture I garnished with pumpkin seeds and white and black sesame seeds and a bit of cinnamon. Drizzled with olive oil to finish.